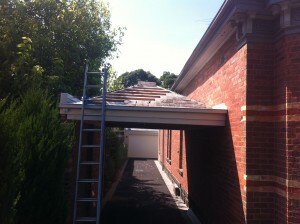 If you’re in need of a professional roof slating company for your home in Essendon we can help. As specialist slate roofers servicing Essendon, Moonee Ponds, Brunswick, Ascot Vale and all Melbourne suburbs, we offer a complete range of roofing services. 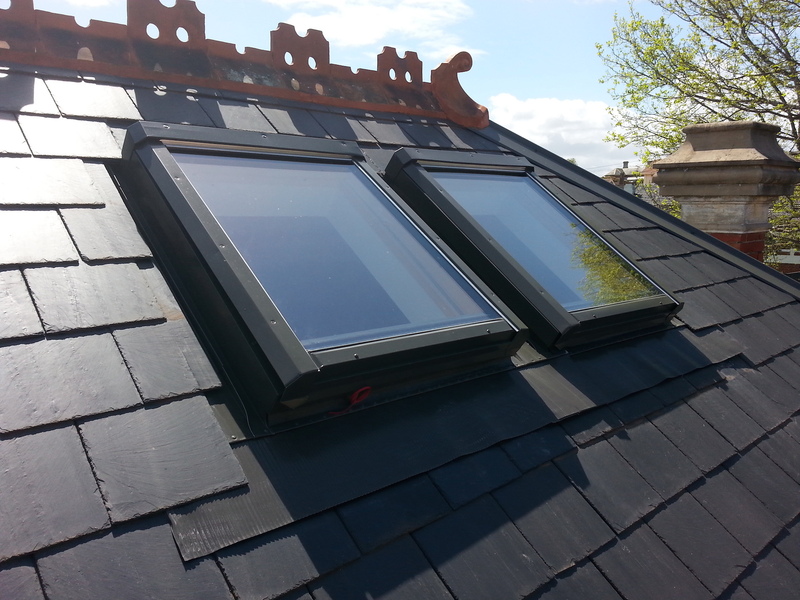 No matter whether your home is Victorian, Edwardian or any other style of period home, we are fully experienced with all styles of period home slate repair and restoration. Perhaps you’re building a new home in Essendon and need a quality slate roof installation. 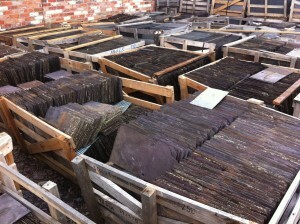 We’ve done many over the years and have access to top quality fully guaranteed slate. Adding an extension to your existing slate roofed home ? We carry an extensive range of recycled roof slates for just such work. 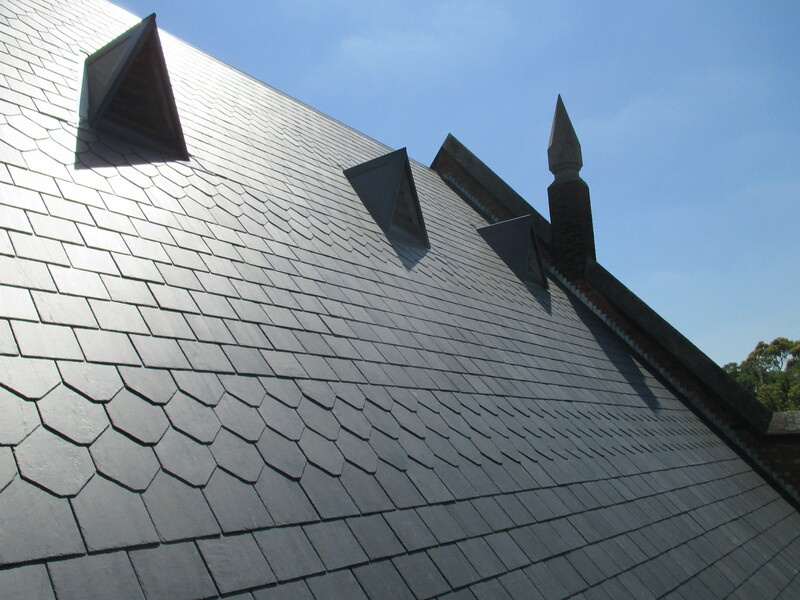 It doesn’t matter whether a slate roof project is small or large … we’ll do it all. This large Victorian period home is situated in one of Essendons’ finest streets. The owners have been busy over the last 12 months carrying out as closely as possible, traditional alterations and restoration work. Our brief for the work being carried out was to source matching Welsh roof slates for a garage and carport being built next to the home. 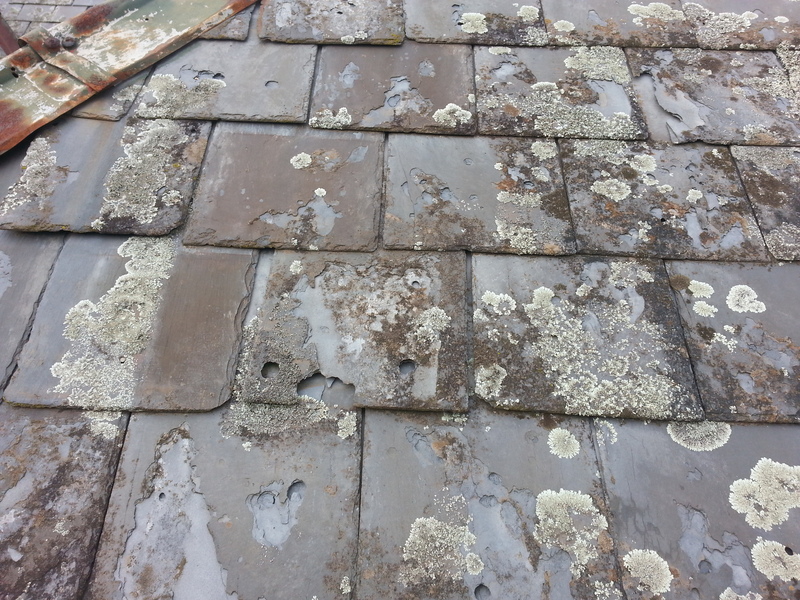 The original existing slate on the home is what’s known as portmadoc blues. Although today they have a grey-brown appearance due to the pollution, they were originally a deep blue color. 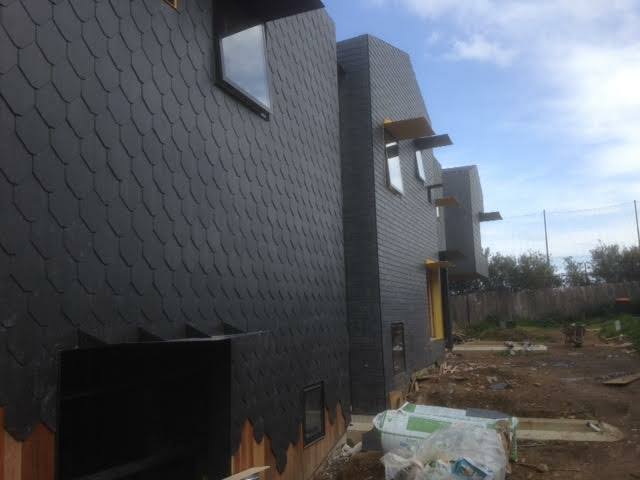 From our yard stock, we found slate that matched almost perfectly the slates on the home including the degree of pollution. We finished the hips and ridges in roll top capping in the same traditional style as the home and the garage almost looks like it was original to the house.